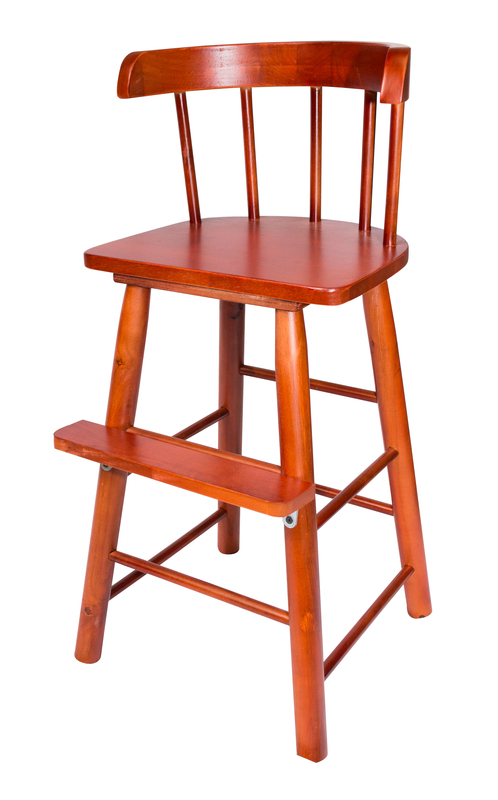 This Sargent's Sons Youth Chair is made of solid Parawood and comes to you in the finish of your choice. It is a beautiful piece of furniture that is especially helpful for post-toddlers between the stages of a baby's high chair and an adult chair. 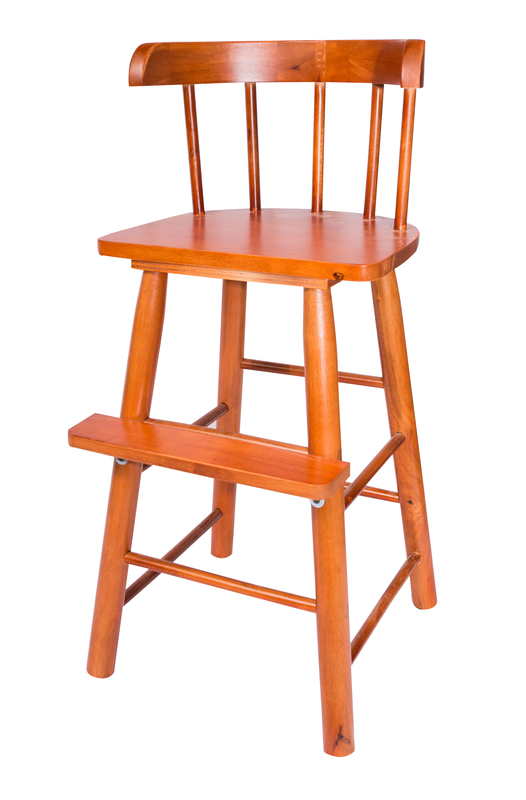 The approximately 22-inch height helps give your little one the boost they need to reach the kitchen or dining room table. 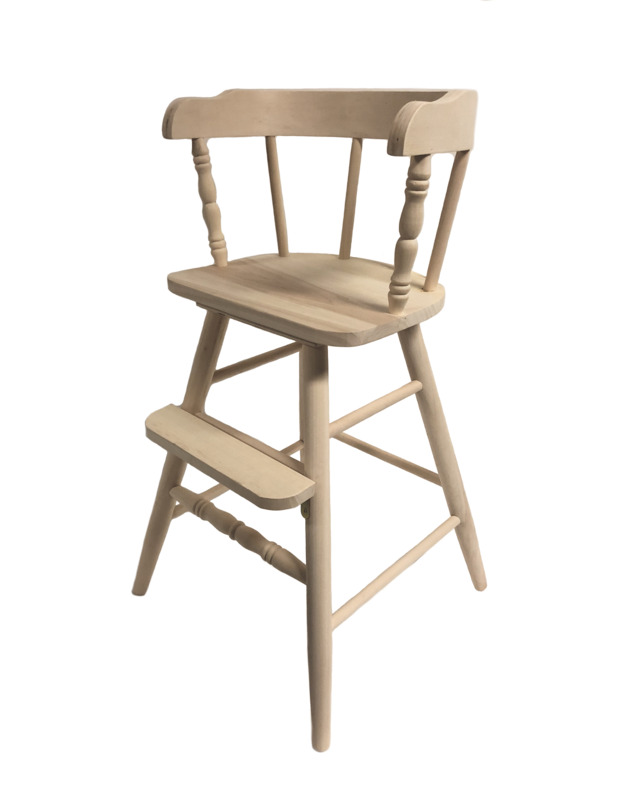 This Sargent's Sons Youth Chair comes in two sections and sanded (another light sanding may be needed for the desired level of finishing). Assembly is easy as there are only 4 screws to attach the seat to the leg section. There is no particle or any other type of inferior manufacturing used. The 450 Youth Chair has been our one best selling youth chairs over the years. We constantly hear people say this youth chair looks exactly like one they had as a child. 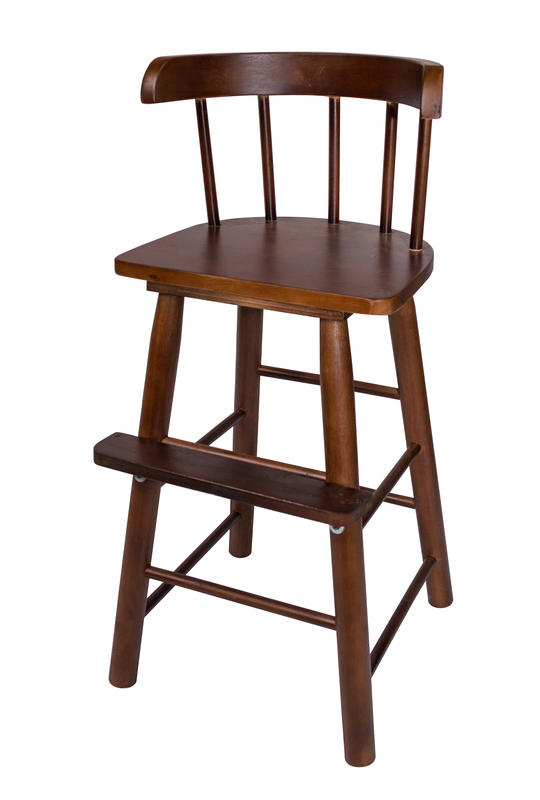 Smooth dowels along the back help this chair fit in with almost any furniture. There is also a footrest so the child's feet won't dangle listlessly. Seat height from floor approximately 21.5"
Bottom of the seat to top of curve 9.5"
Curved top bar of back height 2.5"
Unfinished, Clear Finish, Walnut Finish, Mahogany Finish, Rosewood Finish - In stock and ships within 2 to 3 business days. 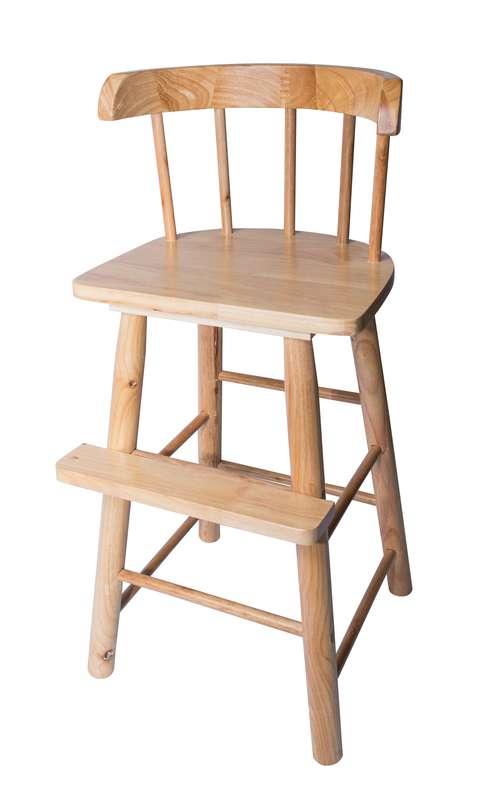 *Please note this Sargent's Sons youth chair is a handmade natural wooden youth chair. Some irregularities may naturally occur in wood grains that are not considered defects. Also, some minor sanding or leveling may be required. Similarly, as each chair is stained by hand the results may vary slightly from images depicted on the monitor.